The run-up to Christmas will never be the same again. 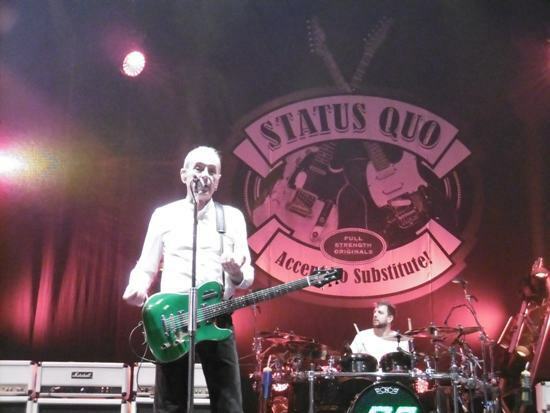 One sure sign that we are in the midst of the festive season is the annual December Status Quo UK arena rock tour – but 2016's extravaganza, which visits Birmingham's Barclaycard Arena on December 16, is set to be the band's final set of electric shows. 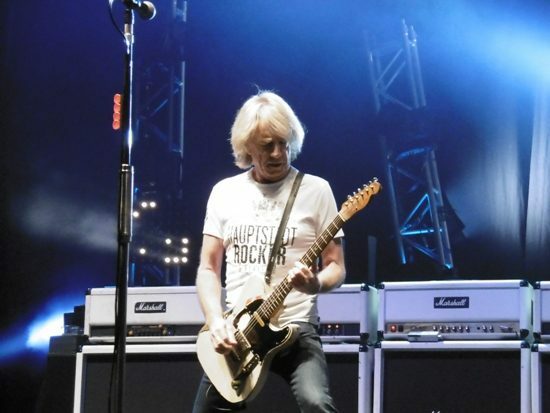 The sting in the tail for Quo fans is the fact that band veteran, 68-year-old guitarist Rick Parfitt, has been forced to pull out of the tour through ill health. His place is being taken by Irish guitarist Richie Malone who will join frontman Francis Rossi, bassist John 'Rhino' Edwards, keyboardist Andy Bown and drummer Leon Cage on stage. The tour begins at Nottingham Motorpoint Arena on December 8 and finishes at Liverpool Echo Arena on December 23. Rick had a heart attack in Turkey in June, leading doctors to tell him to rest for the rest of the year. It was originally thought he would return to the band for unplugged acoustic gigs in 2017. However, speaking to Classic Rock magazine he said he doubted he would ever be back on stage with the group. Rick joined Status Quo 49 years ago, shortly before their first hit single, Pictures of Matchstick Men, charted in January 1968. The band's Barclaycard Arena show last year was fantastic. Read my review here. 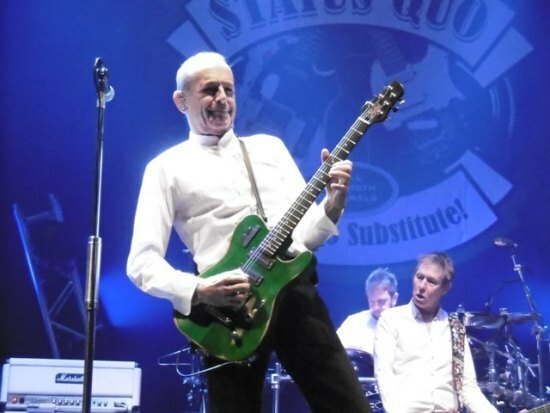 With hindsight, it would have been a suitable goodbye gig but Francis Rossi, the only remaining member from the Quo's classic line-up, can be relied on to ensure the band's final electric shows are memorable. Expect a good selection of classics – Caroline, Whatever You Want, Down Down, Rockin' All Over The World – as well as Rossi favourites like The Oriental, Burning Bridges and Gerundula. And it will be a poignant moment when the gig concludes, as always, with Bye Bye Johnny. For the very last time. Dec 23: Liverpool Echo Arena.